We are a residential and commercial bathroom design and remodeling company that offers services for all Cullman Alabama business and homes regardless of size and capacity. We install & repair bathroom flooring, bathroom walls, sinks, bathtubs, showers and more! Call and ask us about any of our bathroom renovation contracting services - 256-734-0003. We specialize in building custom bathroom cabinets as well as bathroom cabinet repair and cabinet restoration in Cullman County Alabama. Have you been dreaming of a shower remodel using your own unique design? If so, our home improvement contractors can build and implement that design specifically to your specifications whether it's a small bathroom remodel or a large bathroom remodel. We tailor designs that meet the requirements of your bathroom renovation ideas. 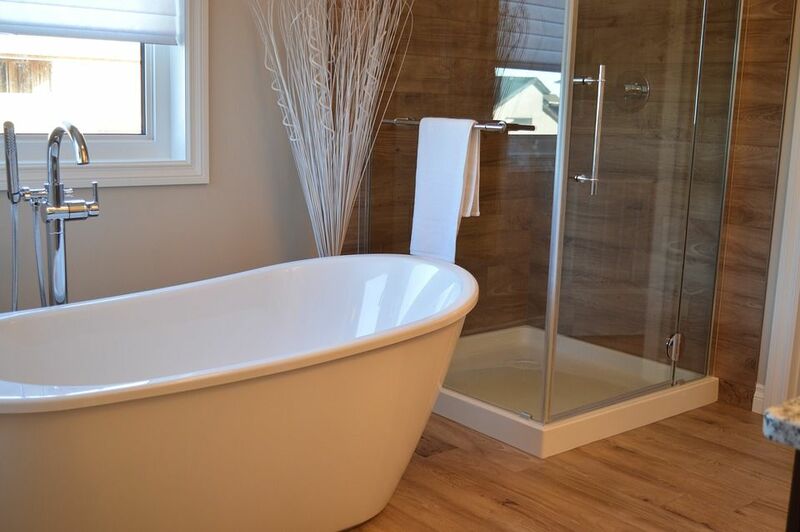 From bathroom hardwood floor repair or bathroom tile flooring installation to custom bathroom ceiling architecture repair, Hendrix builds and remodels bathrooms with state of the art technology and skill. Is your bathroom to small? We can make it larger! Do you need a bathroom contractor to replace your bathroom sink or bathtub? We can do it! Call us today for all of your bathroom renovation or bathroom repair questions, we will be glad to answer them.